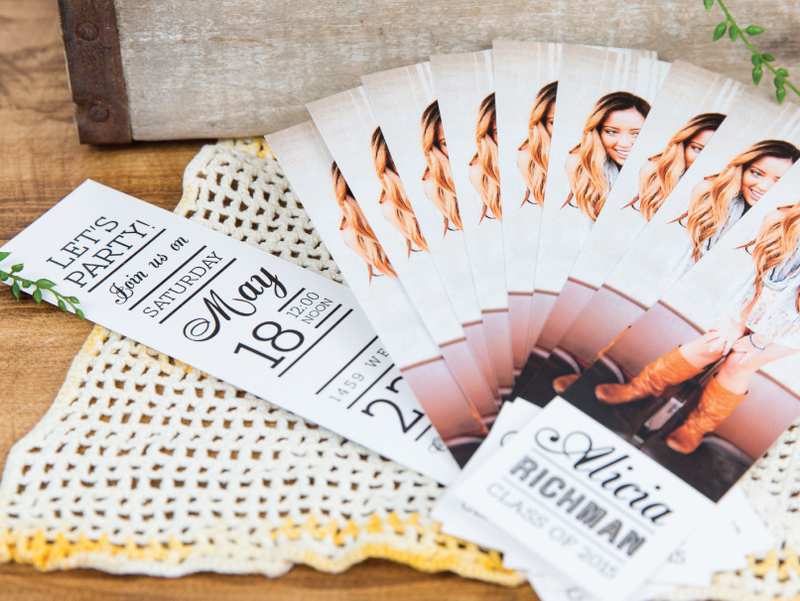 Use our 2" x 7" bookmarks in a variety of ways: party favors, wedding keepsakes, promotional items, and more! Choose from 6 premium papers in matte or gloss coating, printed double-sided. Sold in sets of 10. Bookmarks are printed double-sided, perfect for an image on the front side and logo or promo message on back. Sold in sets of 10. Available in 6 papers: Standard, Linen, Art, Pearl, Eggshell and Brilliant Cotton. For more details, see our Paper Types. Choose Matte or Gloss Coating. For Gloss, add $0.60 per set of 10 (not available for Art, Eggshell or Brilliant Cotton Papers). Standard 4 Color Printing uses 4 inks to beautifully reproduce all the colors in an image. For images where skin tones dominate, we recommend upgrading to 6 Color Printing which adds 2 more inks to create even smoother color transitions. Add $3.00 per set of 10.